A few weeks back I wrote an article yearning for the day that electronic book readers (Amazon's Kindle and the rumored large-format iPod) readily and easily display comics. ICV2.com has a story about which comics are now available on the iPod Touch and iPhone. As it stands there isn't one single app that can display comics from all (or even most) publishers. Seems they each have their own. I suspect that will be worked out when a large-format iPod comes out with content available on iTunes. It's coming and won't it be cool? 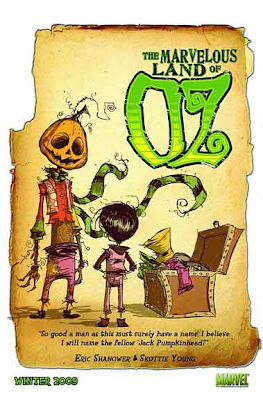 Eric Shanower and Skottie Young, the creative duo on Marvel Illustrated's THE WONDERFUL WIZARD OF OZ, will be back with another adaptive installment of the famed storyline called THE MARVELOUS LAND OF OZ. I have been an unapologetic fan of Marvel Illustrated's line of canonical adapations, and I am glad to see there will be another OZ comic coming our way. I am especially fond of the hardbound premium editions as those hold up so well in the classroom. Newsarama has a quick interview with Young if you are interested. The high school dropout rate is troubling. According to this story at Open Education, 25 percent of high school students do not graduate “within the standard four-year secondary-school plan”. Even more disturbing for me as an elementary teacher is the fact that many students report that they feel their last year of academic success occurred in fourth grade, according to Lynne Strathman, director of Lydia Urban Academy. Fourth grade? I cannot fathom it. Fourth grade! I instantly think back to my student teaching experience and recall one particular fourth grade boy. His mother came to school with pizza in hand to eat lunch with her son one afternoon so I took them to the classroom and we ate lunch together. She thanked me for exciting her son again. A gifted child, he was very intelligent but had grown noticeably disinterested in academics and reading. She reinforced to me that my emphasis on comics had changed his entire outlook. “He’s interested in school again,” she told me. I gave him my personal comics to take home and I didn’t have a checkout process. He returned them all, and she offered to write me a reference letter to get me hired at that district. I wanted desperately to give him MARVEL ILLUSTRATED: THE ILIAD because of his interest in Greek mythology, but the book – like most of the books in the series – carries a parental advisory for teens ages 15 and older. I was able to interest him in some lower reading level Greek mythology, but I really believe, after developing a relationship with him, that he could have handled Marvel’s version. It is my belief that reading something rich, deep and difficult would have exponentially expanded this boy’s reading motivation even more and would have led him toward reading the source material. 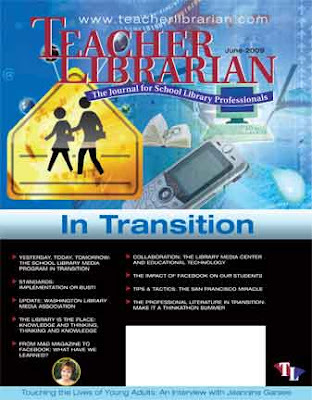 It behooves teachers to consider what librarians have done for years and institute a restricted shelf. In my case, this would involve restricted readings for the HALL OF HEROES comic book club so my books would be limited to comic literature, although a classroom teacher should use both traditional and comic literature. My approach toward the restricted shelf is not born out of censorship or an attempt to keep kids from literature. Rather, I propose using the restricted readings as a way to promote literature to certain students who are prepared and ready for more without inundating the entire student body with something that might otherwise get banned altogether. 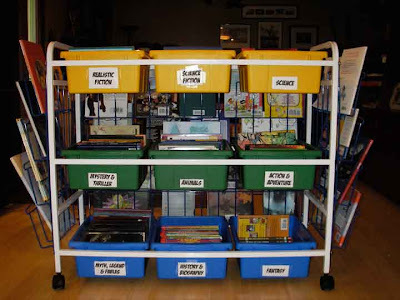 For those kids who need to feel a bit naughty or special or challenged, the restricted shelf offers a chance to trust a student and to instill responsibility in a student. It might also be the only way to reach those kids who do not fit the traditional mold and who need to thump authority a bit, but in a way that is controlled and safe. 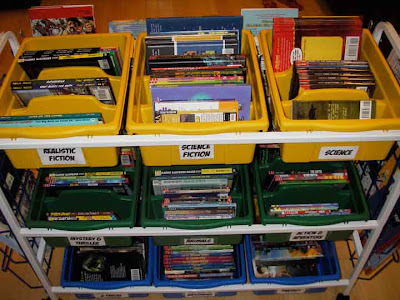 Students would only have access to the restricted books after parents sign a permission slip. I envision the choosing of books as a tandem experience between the student and I whereby we sit and down and peruse the stacks and talk about books of particular interest to that child. The goal is to feed students who are desperate for more powerful and challenging literature than the norm for that age group. This should not be limited to gifted students, but also students who have become disenfranchised with school or those who need more for whatever reason. I am surviving the summer on scant savings. After three and a half years of full time studentship at the university (read that as a fancy word for unemployed) the bank account is nearly depleted. I do not get paid until the end of August, so I am taking a hiatus from purchasing any comics the rest of the summer. Don't expect to see too many books listed in my IN THE CLASSROOM THIS WEEK section for a while. Fret not for we shall continue to publish our reviews. We don't get paid for this gig. Why do people read? What motivates us to seek out the experience of the written word? Loads of research has been done on the subject of reading motivation (see the literature review of my graduate seminar paper). Choice is one of the top reasons that students read, according to research. Adults have plenty of choice in reading. I’ve never heard one college student exclaim how much she enjoyed sitting down and reading her social studies, but I do know plenty of adults who make trips to the bookstore to purchase books on economics, biography, poetry or fiction. Comics are a top contender among students, according to research. When it comes to reading, or the teaching of reading, it is my opinion that choice is the most significant factor to consider, even above reading levels. Not long after accepting my position at Nixa Public Schools, I contacted my principal and requested permission to start a before-school literacy program using comic literature. 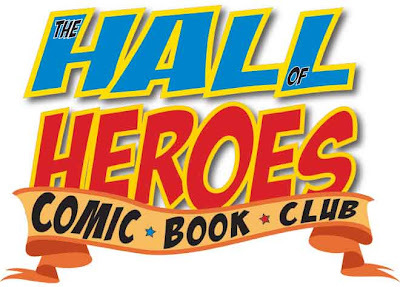 I received two thumbs up almost immediately and I began work on THE HALL OF HEROES comic book club. Every aspect of the club is designed to build relationships, which is another significant factor in a student’s success, in my opinion. When students trust their teacher/facilitator/mentor then they are more willing to branch out and try new genres and harder reading levels. The club must remain small in order for me to develop those deep relationships and really give more individual attention. Splitting the club into semesters allows me to reach more students and also builds anticipation. 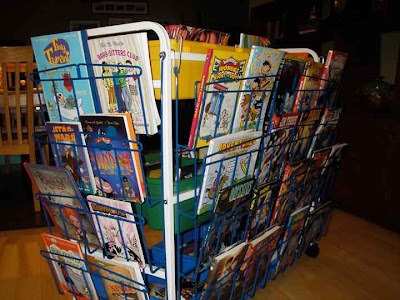 I have purchased a book cart to hold and display the comics. With the permission of the librarian, already obtained, we will meet in the library every Monday before school. On the first day, students will fill out a reading inventory so I can learn about their individual needs. I will talk about the different texts available and really introduce the wide range of genres encompassing comic literature. The comics are categorized by genre and not by Lexile, which is another important aspect and is related to students having choice. 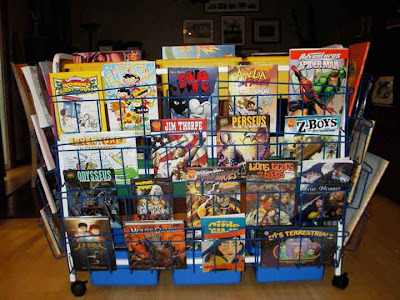 Front of the book cart. Notice the books are categorized by genre, not reading level. Overhead shot of the book cart. Back of the cart. I purchased the deluxe edition for the wire rack. This is the back corner of the cart. The wire rack is on both sides and the back. Many of our greatest pieces of literature focus on the hero’s journey – the monomyth. Who are our heroes and why are they our heroes? In order to tap into the hero myth, I am cooperating with Superheroes Anonymous and encouraging the members of our club to take our literature outside the school. The first element is for the students and the teacher to each develop our own comic book superhero persona, complete with a homemade costume. We will then become superheroes in our own community by participating in civic engagement. Perhaps we will clean a street, visit a nursing home, plant flowers at city hall, cook a meal for the firefighters, or serve a meal at a food pantry. The goal is to connect our literature with our real lives and discover how literature can influence, impact and change our lives. As the club progresses, I will let you know how things go. If you decide to start up a HALL OF HEROES club of your own, please let me know. I will be happy to help get you started and even promote your efforts. Perhaps we could have HALLS all over the United States. I will post a link to my HALL OF HEROES site when I finish it. Teachers looking for a weapon, any weapon, to pick up in the are-comics-real-literature debate have always had a few go to Battle Axes: MAUS, PERSEPOLIS, and AMERICAN BORN CHINESE. Gene Luen Yang's shifting, genre bending, National Book Award finalist graphic novel somehow combined elements of myth, memoir, and realism to reflect on the complex dynamic of first generation Chinese students trying to fit into American society while retaining some part of their pasts. His newest compilation is a series of three short stories written in collaboration with artist Derek Kirk Kim (SAME DIFFERENCE AND OTHER STORIES). These stories, though related in some of the same themes as AMERICAN BORN CHINESE, mark a sharp change in direction. 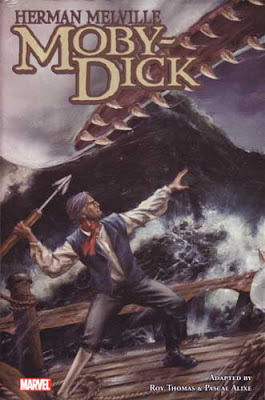 The first story "Duncan's Kingdom" seems like a traditional sword and sorcery story in which the hapless knight, Duncan, attempts to win the hand of the Princess by killing the evil Frog King who has laid waste to the kingdom. Strangely, interspersed with the D&D-esque narrative are cryptic images of Snappy Cola bottles and brooding mother figures. The ending has a Twilight Zone tone that might cause eye rolling in older readers but could delight younger, less cynical ones. The second story "Gran'Pa Greenbax and the Eternal Smile" is much different tonally. Frantic and surreal, "Greenbax" tells the story of an avaricious frog who is obsessed with money-making schemes. It's the kind of story where the main character gets big dollar signs etched onto his eyes while he screams "Ka-Ching!" After exhausting the money making schemes available, Greenbax finds an eternal smile floating over the desert and plans to sell tickets to it. That plan doesn't work out so well and again a Twilght Zone ending switches around all of the reader's expectations. I found this story to be the weakest of the three, but that might be about my well-wrought bias against all things zany. Finally, "Urgent Request" encompasses the largest tonal shift as the Yang tells the story of a downtrodden office worker who is buffeted both by her own crippling shyness and the petty mockery of her boss. When she receives an email from a Nigerian prince offering her riches and love if she could only send a few checks made out to cash his way, she acquiesces. As she sends more and more money into this obvious scam, her life takes a turn for the better. She skips around town and imagines herself to be a great and beloved queen. Yet again, a Twilight Zone ending is in store, but this one feels less clever-for-the-sake-of-being-clever and instead has a gentle, uplifting sensitivity. Maybe the ending is too pat, but the story skillfully causes us to care enough for the protagonist not to care too much. 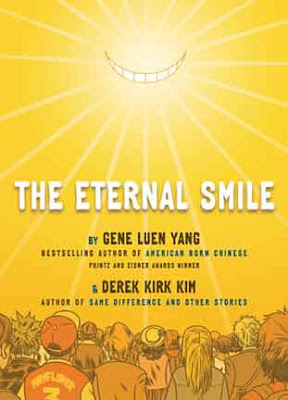 All in all, THE ETERNAL SMILE is no AMERICAN BORN CHINESE, but it's a pleasant series of stories that students might find engaging and uplifting. After a graphic novel diet that includes the Hollocaust, Iranian oppression, and the Rwandan genocide, that could be a good and rare thing. One interesTing aspect of the art is that each story employs a very different art style. "Duncan's Kingdom" is the most traditional style and takes advantage of the kinetic story to create vivid, colorful art. "Greenbax" is more cartoonish and frenetic – lots of gulps and spinning yellow stars. "Urgent Request" shrinks the art into smaller boxes and uses washed out, gauzy colors to reflect the more introspective tone. For teachers, it naturally suggests a discussion about how art can be modified to fit the plot and tone of the story and, of course, what kinds of art would be most appropriate for other stories: THE GREAT GATSBY as anime or Marvel superhero; JANE EYRE as Alison Bechel or MAUS-ian animals. Each of the stories has some pretty obvious thematic content that could be tied into other novels typically done in English class. Also, the short-ish length of these pieces suggest the possibility of student works that attempt to model the Twilight Zone structure of this book. Recommended for middle school and high school students with some cautions about cartoon violence (decapitations, frog choking, etc.). provided a way for people to easily share reviews and favorite web sites about age appropriate materials for young people. Thanks to Jennifer from Capstone Press and Stone Arch Press for pointing it out to me. Notice that publisher was also mentioned. We have been a fan of both imprints for a long time. What came into the classroom this week? My comic book cart came in this week, that’s what. It is put together and filled with comics for elementary students. My wife came in and saw it the other night. Her first response was: “That makes me want to read a book.” Besides having the comics organized for easy student access, I was also hoping that it would entice kids to read. More on the comic cart coming soon. For now, enjoy the one lonely comic that came in this week. It is a goodie. BOYS OF STEEL is the rallying cry for misfits and oddballs; it is the biographical badge of honor for geeks and nerds who reject the social constructs of normalcy and seek their own pilgrimage despite the pitfalls and rejections ahead. For Superman creators Jerry Siegel and Joe Schuster, their own heroic journey – while it changed American culture – left the two destitute. Both boys, short and spectacled, were uninterested in sports, painfully shy and awkward around females. Yet, the boys lived exciting lives: Jerry in the pages of his hero-filled, adventure and science fiction pulp novels, and Joe through the manipulation of pencil and paper. One night, Jerry conceived a modern hero who gave hope to a people. This super man was a caped hero who, at times, also donned a weak exterior – representative of the two boys – in order to blend into and hide from society. Superman was born. Action Comics #1 hit the shelves in 1938, brining hope to a people heading to war. The comic story stops there, but the afterward gives the rest of the tragic tale behind the creators. Selling Superman to DC Comics for $130, the two eventually lost all rights to the character, were fired from DC and found their names stripped from the comic. Thankfully, however, some resolve has been established and their names have been restored as the rightful creators of Superman. It is a sad story of greed, but an important story to the creative and nonconformist. In the end, Superman changed the American landscape becoming one of the most recognizable, iconic figures in pop culture. As one might expect, MacDonald tapped into the Golden Age of comics in this picture book-comic hybrid. The 1930s era rendition resonates with history and honor, treating the characters with reverence. The text on the pages is a bit lengthy for very young children, but should be fine for most readers beginning around age 8. What better way to introduce biography to children than to learn the story of the creators of Superman, an iconic character to children and adults alike? Those students who do not fit the typical mold will cling to Siegel and Schuster, and their accomplishment. Of course, it is also a cautionary tail about the importance of intellectual property. With the increase of legitimate research being conducted beginning in the elementary classroom, BOYS OF STEEL demonstrates the importance of not stealing someone else’s work. 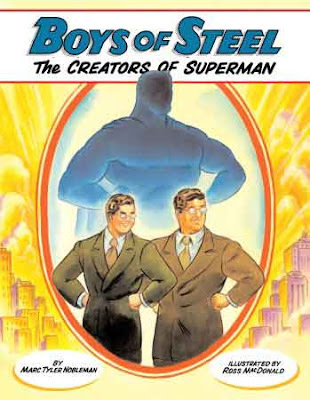 BOYS OF STEEL: THE CREATORS OF SUPERMAN is a title your comic library simply cannot be without. 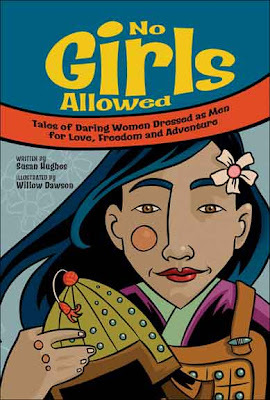 The subtitle of this new graphic book from the Kids Can Press publishing company says it all: "Tales of Daring Women Dressed as Men for Love, Freedom and Adventure." It's a mouthful for a subtitle, but in fact, this book examines an important yet un-mined element of history of women and girls who were fed up with being told "no, you can't do that" because of their gender and decided that taking on a male disguise would open up doors for them. Many of us know the story of Mu Lan, the girl warrior from China who went into the army to protect her father, thanks to the Disney-fication of the story (which is also retold here with more restraint) but there are many more women just like her, apparently. The seven stories in this book shed light on the difficulties that women have had for respect and esteem in history and the first story about Hatshepsut reaches back to the days of the Egyptian pharaohs, where men ruled the roost. Hatshepsut, however, took over the rein of her father's lands when he died and did many great deeds, according to this book, before meeting an unknown end (probably murdered by her nephew, who became the new pharaoh after her). The book then moves along a chronological timeline, spotlighting women in Europe and then in America, including the courageous Ellen Craft, a black slave from the south, who impersonated a white man in order to escape to freedom with her lover. These stories show great attention to detail and bring to the forefront the problems of male-dominated societies that do not honor individuals for their talents, only for their gender. As the writer Susan Hughes notes in her afterward: "Bravely, desperately, each woman made the same radical leap for freedom.... There would be dire consequences if she were discovered; each considered the risk worth taking." Writer Susan Hughes is joined with illustrator Willow Dawson, whose black and white illustrations are a perfect match for the text. Slightly understated, the pictures tell as much of the story as the text. The reader is brought right into the moments when the decision is made by these women to hide their true selves, take on a new identity and hope they don't get discovered. Dawson shows us the looks on their faces as they venture out into the world that would reject them and the expressions of concern and happiness are vivid. I worry that the title of this book – NO GIRLS ALLOWED – will turn off the very population that should read this book: boys. I assume that girls would have no problems identifying with the protagonists of these stories and would find interest in the ways that the heroes here shift identities. But, given that gender inequality still exists (albeit with many improvements over the years), the audience that could make a difference in the future world are boys. And my guess is that no boy who should read this book would be caught reading this book. And so, perhaps teachers can find a way to introduce these stories as a class, so that boys will have an excuse to learn about these strong women from history. The publishers also provide a nice index of additional resources about the women in the book, and as writer Susan Hughes notes, "There are many more equally fascinating stories of women in disguise that just couldn't fit into the pages of this book...." Maybe students could research some of those women, and also talk about why it is that during Shakespeare's days, men had to dress as women for the stage even though there were perfectly fine female actors available. Students could also write about the inequity that they see in their lives and how one might overcome those difficulties. The book opens up a lot of possibilities for rich discussions. Click here for the publisher’s learning materials. I highly recommend this book. It would likely be most appropriate for upper elementary and middle school students, although there is nothing inappropriate in its content. Every teenager with an electric guitar has a dream. Give that kid a space where they can plug in their amplifiers and crank it up loud, such as an empty garage, and you've given that budding musician something to strive for as an artist. But dreams are tricky things and reality is intrusive. The decisions one makes in life have ramifications. This mix of ideas is the basic premise of GARAGE BAND by Gipi. 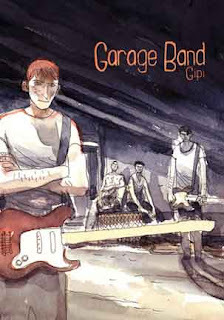 This graphic novel explores four teenage friends who want to make music and who are given access to an empty garage by one of the boys' fathers, with the understanding that it is theirs to use as long as they stay out of trouble. Gipi develops these four characters carefully through the chapters, which are listed as songs (as if on a CD). There is the ambitious Stefano; the sullen Alberto; Giuliano, the narrator; and Alex, the drummer with an affinity for Hitler. They write and sing songs of themselves, capturing in music the father who has gone missing in a case of embezzlement, the brother and grandfather who have died, the turmoil of daily life in an environment that reeks of industrial dead-ends for everyone. There is tension on every page of this book – in the words and in the artwork. And then it all falls apart in a moment, and all because of an amplifier. The broken amp sets in motion a theft of musical equipment from a building inside a militarized zone of town, a missing wallet accidentally left behind when a pocket rips, and the resulting loss of the garage space (after the death metal band who have had their equipment stolen by the boys come looking for their stuff and confronts Guiliano's dad). The lure of the corporate music world also raises its ugly head. One member of the music industry tells a character, "The market is all that matters. The music isn't important." Such words should be heresy to any young musician with a dream and yet Stefano – the de facto leader of the band – is clearly drawn to the offer to quit the band and work in the industry. It's the moral moment in the book and we only infer later, when the band finds an alternative place to practice purchased through embezzlement funds, that Stefano has probably turned down the offer in order to keep making music. There are, however, loose ends here. Why does Alex revere the Nazis? What kind of music are they actually playing? (One can infer from the action shots at the end of each chapter that it is some high-energy rock the boys are dabbling in). And the relationships of fathers and sons teems just below the surface of a number of scenes, yet never feels very developed. There was more to harness there, but perhaps Gipi wanted to keep the story sparse and focused. For high school students with an interest in music, this book hits home. For teenagers with controlling parents or families upended by death, this book may seem familiar ground. That is a good thing, as Gipi uses the concept of a rock and roll band to connect friendships, nurture a dream and cut through the insecurities of teenagers finding out some inner truths about life. There is a washed-out look and feel to GARAGE BAND and this effect by Gipi seems appropriately matched to the story and setting, which is clearly an inner city in Europe (probably in Italy, where Gipi is from) that is in the midst of an economic downturn. The boys don't appear to have regular jobs and the landscape almost seems strewn with abandoned buildings. The use of watercolors spills outside the lines and a narrow pallet of colors works on this level quite effectively, raising the sense of anxiety and tension among the boys. Gipi evokes the sense that this dream of music may be the only real future for these boys. Recommended for high school students, particularly those with an interest in music. There is no inappropriate language. GARAGE BAND provides some interesting situations in which characters are forced to make decisions that have consequences and these moral quandaries might provide fodder for the high school classroom. For example, the boys decide to steal an amplifier and they justify the theft by declaring that it must belong to a church group. "The way I see it, their right to own musical instruments is zilch," notes the narrator. Later, one of the characters is confronted by his girlfriend for what he has done and he can't hide behind the moral ambiguity. He feels guilt. While many teenagers may not be faced with this particular situation, they are often unsure of what they are doing and why they are doing it, and the book may provide some interesting introspective writing, including the peer pressure that comes from a group mentality. The inclusion of the Nazi posters and Alex's respect for Hitler would also provide for an insightful lesson on why it is people in the world still, to this day, see the world through this lens of hatred and race. Obviously, this would be a delicate discussion, but given in context of history, the issue of intolerance is an important one, particularly since some of the other members of the band don't believe Alex actually espouses the values of the Nazis, only an infatuation with the posters in his room. More information and an excerpt can be read at First Second. What a great week it’s been. The daughter is out of school and I’ve been working in my new classroom a bit (but not too much). And yes, it is full of comic-related material. It is geek chic if you ask me, and the kids will love it. I’m even moving in my still-boxed Super Girl, Batgirl, and Wonder Woman Barbie dolls into the room. I am very sensitive about connecting my comics (and other items of nerddom) with girls as well as boys. I am an enrichment teacher – the Technology Lab instructor. As such, I am able to connect my love of comics and sci-fi with technology. I am also starting my school’s first ever Hall of Heroes comic book club. We will meet before school once a week and read comic literature and support one another’s reading habits. There will be sharing, too – a rich environment where students share the stories they are reading and discuss them with each other and with me. I can just imagine the connections and the excitement.